Isle of Dogs and Adventure Time by Doyle! Designer Con- THIS WEEKEND! 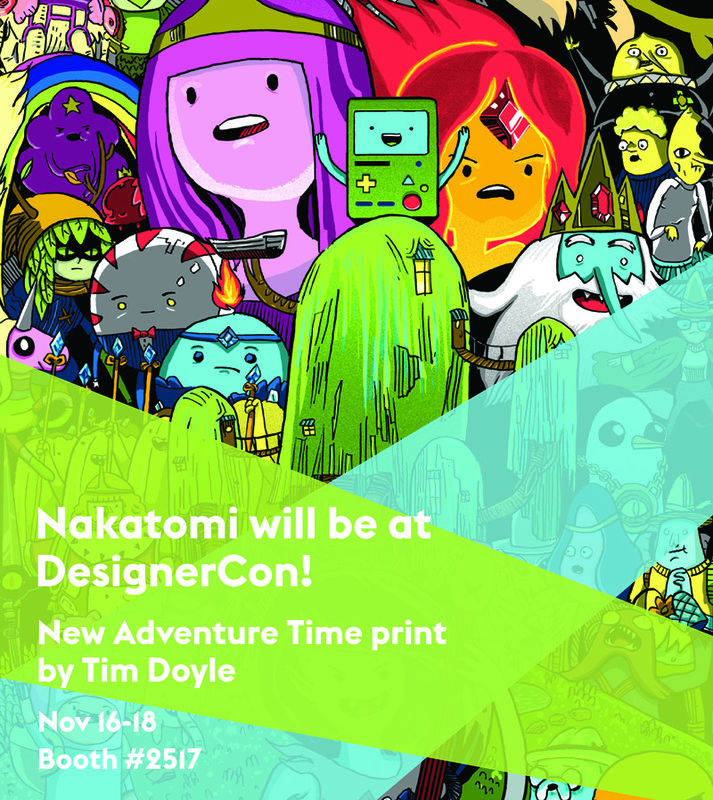 This weekend, Nakatomi artist, Tim Doyle will be appearing at DesignerCon in Anaheim. He’ll be at the Nakatomi booth #2517. The show is open to the general public on Saturday and Sunday. This is our first year doing this show, and we’re super excited to meet you all! He will have his two new prints- “I Won’t Hurt You” from the Isle of Dogs show at SpokeArt. This 12×24 print is signed and numbered in a first edition of 150. This print will be avaliale online on the SpokeArt website on Thursday for $40. 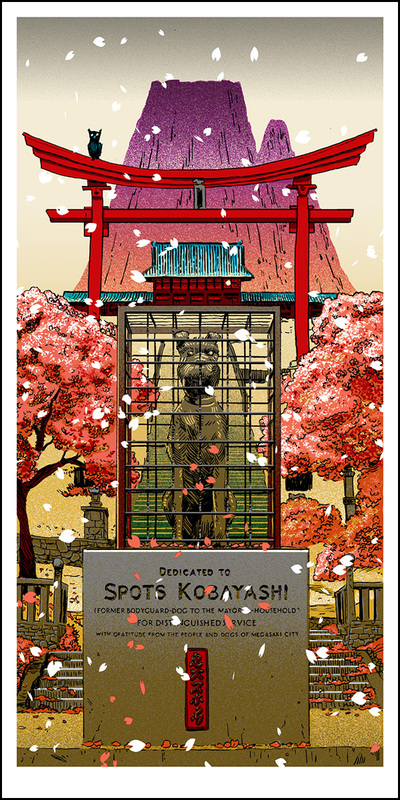 Any remaining copies will be on the Nakatomi site at a later date. 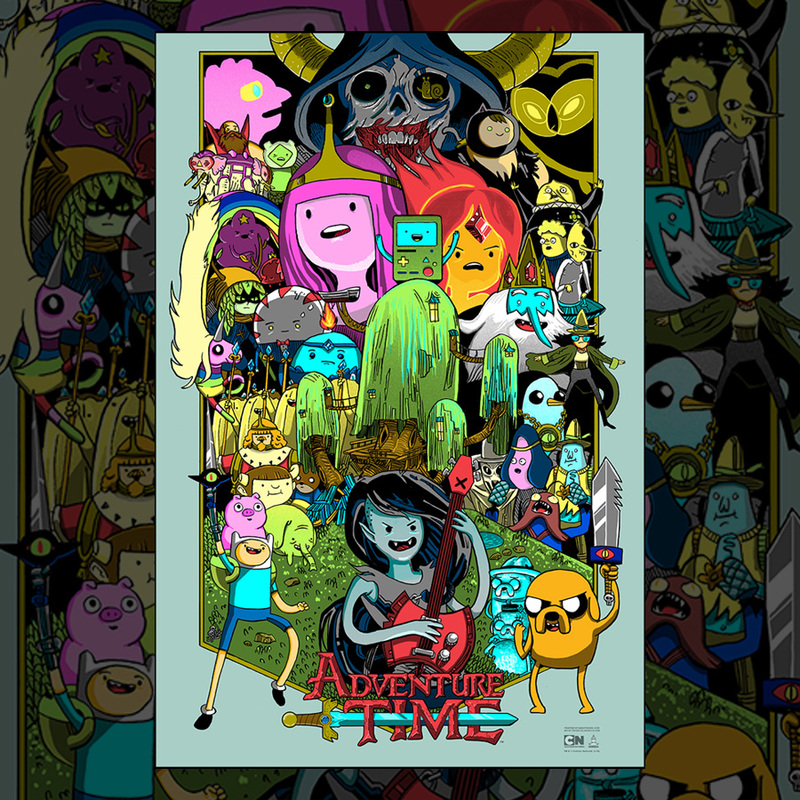 He will ALSO have his brand-new Exclusive Adventure Time print- “Come Along With Me”– which is an EPIC 24×36 screenprint, signed and numbered in an edition of 150. If you’re not going to DesignerCon, you can pick up the Adventure Time print RIGHT NOW on the Galerie F site HERE. This officially licensed print can never be reprinted! Regular edition is $50, and the Foil edition (of only 50!) is $75. Artist copies will NOT be hitting the Nakatomi site later, so either get them on Galerie F’s site, or at DesignerCon! On top of all that, Doyle will be doing sketches in any copy of the UnReal Estate book you either bring in, or buy at the show, at no extra cost! So swing on by, say hello, and get your stuff signed!